Sesame Street Special "The Magical Wand Chase"
Discussion in 'Season 48' started by Phillip, Nov 11, 2017. I thought Caroll did fine as Big Bird in the Julia episode. Not as good as he used to, but still distinctly Big Bird. And I completely agree. My point is even with Caroll's voice for his characters being weaker. I still believe it sounds better than Vogel doing the voice. Vogel just isn't the right fit for the character anymore. I honestly think he would be better off in the hands of another performer. Big Bird just doesn't feel like the same character as the original performer the way Grover, Oscar, Elmo, Prairie Dawn, etc do. It seems like you're putting a lot of emphasis on the voice, which I honestly feel is mostly unimportant, but I see what you mean. Speaking, at least for Big Bird, I don't think it's not so much the performance as it is the writing. I understand that several writers for the show say he's hard to write for, but he's basically just been a really bland sidekick the past couple of seasons- heck, not even a sidekick, he usually just makes cameos. He feels like an empty shell of what he once was. All that complexity, all that wide eyed child-ish wonder, all the nuisance is barely seen anymore. Before, even when his appearances were brief he still felt like Big Bird. I'll elaborate. No, the voice of a muppet doesn't need to be an exact imitation of the original performer. You're never going to get exact. However, it needs to be close enough to the point where it still feels like it's the same character. Look at Steve Whitmire as Kermit. He acknowledged that his Kermit never sounded exactly like Jim's Kermit, but it was close enough that we could still see them as the same character. Eric Jacobsen's Grover doesn't sound exactly Like Frank Oz's but I can still make the connection to the point that it feels like the same character. I just don't get the same feeling with Vogel's Big Bird. Even when he's able to do more with the character outside of the show it still feels like a different character than Spinney's. I've seen old footage of Vogel's Big Bird audition and there he was able to capture the voice far better than he does now. I feel he's not the right fit anymore. I think it would just benefit the character to have another performer who's a better fit. No, the voice isn't the most important. But I wouldn't say it's unimportant. Voice aids the idea of connectivity, the feeling that it's the same character you've been watching for over 40 years, is important. And Eric Jacobsen as Grover or Stephanie D'Abruzzo's Prairie Dawn or Bill Barretta as Rowlf all accomplish that job of feeling like it's the same and not an entirely different character. I love Matt Vogel, I think he's doing a great job with his other characters but he has stated that he doesn't consider his Big Bird to be the same character as Caroll's Big Bird. Which is a philosophy that I kind of consider a little bit problematic to be entirely honest. I would watch the actual episode before jumping to conclusions. All good points. Looking at live performances he really doesn't feel like the same character, which is a shame because I think Matt is really great at maneuvering the puppet in a way very close to the way Caroll did several years ago. But I do think Peter and Noel's real personalities might fit a bit more. I could be reading to much into it, but the way Matt talks about performing Big Bird, it sounds like he doesn't feel quite as free as he does with his other characters. Eric Jacobson could be an interesting candidate, but he already plays so many characters. Not to mention, I think he auditioned before, but couldn't get the voice close enough. But, I think we also can't forget, Caroll has a very distinct voice, so the fact that Matt or Eric are anywhere close to the ballpark is pretty surprising. I still remember how long it took for me to get used to Eric doing Frank's characters (and David doing Cookie), but now it's gotten to a point that I'm so used to his performances that it's almost disorienting to hear Frank's voices coming from those characters. Stephanie has been great as Prairie so far, and I cannot stress how seamless Eric has been as Oscar (and that was one voice I didn't think anyone could reproduce as well as Caroll), but Jen still needs to work on Zoe. Nevertheless, I agree with KarWash, the voices aren't going to be something inheritor performers are going to be able to completely imitate or reproduce spot-on, so you pretty just have to accept when characters' voices sound different due to different performers - much like Looney Tunes, look how many times those characters have gone through different voice actors (and still continue to do so) since the passing of Mel Blanc; some voice actors have done well with Bugs Bunny (Jeff Bergman, Billy West), others (Greg Burson) not so much. As great as the late Joe Alaskey was as a voice actor in general, I felt his Tweety was too deep for the character and made it seem like Tweety had gone through puberty of something (Bob Bergen did a better job at hitting that higher and more younger-sounding register), but at least he was able to really nail Tweety's speech impediment, mannerisms, and inflections. Still, we just have to accept these things. If SST continues even more years down the line, who knows, there may come a time when, say, Carmen will have to pass Rosita on to another performer, or Marty with Telly and Snuffy. I agree, there will always be an adjustment period. But I think this is just one of those instances where the performer just isn't the right fit. The vast majority of Sesame Street viewers aren't diehard muppet fans like us. I mean, we are the minority. They don't neccesarily look for the minor changes in the voices the same way we do. Which is why Vogel's Big Bird stands out. They'll see a character like Elmo and not necessarily know the person behind that muppet. But at the end of the day, they'll still buy that it's Elmo. No, it's never going to be exact but subconsciously we buy into the illusion that it's not a "new" Elmo. It's the same Elmo. Which is important. A character should never feel like a seperate entity from it's original. And I just don't think it's out of the question for another capable performer to take on this iconic character. Big Bird is one of the best known children's characters in the world. And I think there's a performer who's probably a better fit, who can make it feel like the same Big Bird as Spinney's. Peter Linz played Big Bird in Shakespeare in the Park. Plus he doesn't have a core character. I could be wrong but I believe the only important characters he does is Ernie and Herry? Perhaps he could be a good candidate? I think he would be able to get that higher pitch that Matt isn't able to do anymore. Plus he's familiar with performing the character. Even if Caroll isn't on this season. I would imagine he would be involved in celebration of the 50th season. I'm sure he'll be included with the other muppeteers for promotional events on that occasion. Jerry Nelson was able to operate the Count on a rare occasion from his wheelchair for special events for the 40th season. So I doubt they would exclude Caroll from being included with Oscar even if he's not on the show. I'm sure the celebration of the 50th year will include promotional events with the muppeteers, Caroll as Oscar and the original cast members. I don't think Carroll's officially done with the show but his performances are probably very limited, much like Frank oz was in his later years on ss. I think Eric and Matt are fantastic and are good replacements. 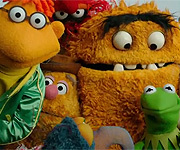 The show is changing and there's a whole new generation of muppeteers now. But I love Carroll and let's be grateful he's been voicing big bird and Oscar as long as he has. That right there is true dedication. Unless you're only talking about Sesame characters, wouldn't Walter be considered Peter Linz's core character, or is he not important enough? I was referring to Sesame Street. 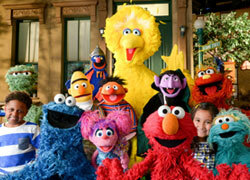 When they moved to HBO, the daily focus shifted to six core characters: Elmo, Abby, Big Bird, Oscar, Cookie monster and Grover. The other characters appear but are no longer the main focus of a particular episode. This is what I'm referring to when I reference core characters. Speaking of Walter. Walter would be Peter's staple character as he originated him. However, Walter is used sparingly. The Muppets in general don't have a consistent outlet so it's not like Peter would ever be busy from doing Sesame Street with Walter. However since Matt is Kermit, that's essentially a full time job. Kermit gets more demand from media more than any other muppet. And that's also one of the reasons Steve had to stop being Ernie. So this prevents a very real possibility that Matt may eventually have to lower his commitments to Sesame Street for his responsibilities as Kermit. Welllll . . . since Steve's termination with Disney has come forward, the information that's been leaked throughout the internet is the real reason he stopped being Ernie was because he was fired for demanding more money (as in more than any of the other performers make). That was just an example. It was still a factor in the recasting of Ernie. Maybe not THE reason but certainly a reason. But I don't really want to open that can of worms right now, it's kind of unrelated to the discussion at hand. But I will just say that his termination with Disney is essentially unrelated to the recasting of Ernie which took place a couple of years before. Also I would ask for a source on that "leaked" info. Is there a way to watch this from outside the U.S.? I just saw it on You Tube that's why I'm posting now so sorry in advance for bumping an old thread. Though as for my thoughts on the special, I thought it was very good. Some times I forget that SS takes place in New York so the fact that they met people from different cultures in different neighborhoods was very interesting. I do agree it could have used more Muppets like Bert, Ernie, Snuffy, etc. Sure we saw them in pictures at the end, but not the actual characters. As for the recasting of Big Bird, I'm on the fence. I do agree that Matt's version of the character doesn't sound like Carroll's (heck, Carroll's most recent versions of Big Bird and Oscar don't sound like Carroll's now either as someone mentioned, but that's another story.) Anyway, Matt's Big Bird doesn't bother me too much anymore. I guess I gradually got used to Matt as Big Bird from when they had "Journey to Ernie" and his other performances of the character over the years. With Oscar, it's kind of a different story because Eric hadn't been performing him as often over the years, but within time I'm getting more used to that as well. Anyway, just wanted to put in my two cents on this. Also, this isn't the first time Carroll didn't perform his characters in a "Sesame Street" special. One example I remember was that "Sesame Street 4D from a few years back. I think Matt was BB and John Tartia-whatshisname was Oscar. So I thought I'd mention that one as well. So with that said, there's still a chance Carroll will probably come back to perform his characters on occasion. You never know. I agree completely. I feel like Caroll Spinney is only semi-retired. He actually just recently performed Oscar for a guest appearance only a couple of months ago so he hasn't completely stopped puppeteering, only to a more limited extent now which is something that I'm content with, knowing that he is still given the opportunity to do what he loves. That's all that matters. Also, "John Tartia-whatshisname" and Vogel were only stand ins for Caroll in SS 4D. He still dubbed their voices in that film. Oh, okay. I didn't see Carroll was credited on imdb so that's why I thought he was absent from that altogether. So that's why I thought he was absent from that. Thanks for clearing that up. I guess that's kind of like Frank looped in the voices for Miss Piggy and Sam in the Andy MacDowell episode of Muppets Tonight even though Frank looped in the voices later though Frank wasn't credited. Just thought I'd post that example. Sorry. It's been a while since I watched it. I know he looped in the voice for Piggy for that one though. Apparently this special will air on PBS this March. What's up with that? Once Upon a Sesame Street Christmas aired on PBS a year after it aired on HBO. Why is it taking longer for the other specials?